Make sure that none of your guests is left thirsty (or behind) by customizing bottle tags for every liquid refreshment you offer in your hotel minibar, airport snack stand, or museum gift shop. 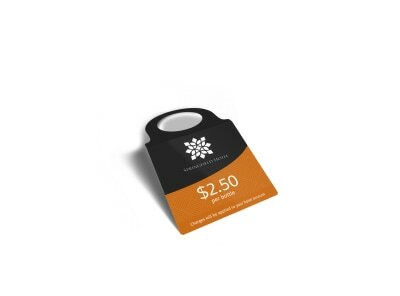 MyCreativeShop makes it simple to customize one of our professionally-designed travel bottle tag templates. Just browse our catalog, pick your favorite, then make it your own using our online editor. No prior design experience necessary - and when you’re finished, print ‘em yourself or let us take care of it ("be our guest," as it were).